Pain is a part of life. Sometimes it is useful and can be a warning of danger, injury, or illness. Children learn to avoid danger because of pain. A baby’s crying warns parents to find out what is wrong. The very rare children who cannot feel pain often cause themselves serious harm. However, some pain, such as pain from surgery or from a needle, is not a warning. It serves no useful purpose. Pain should be treated. 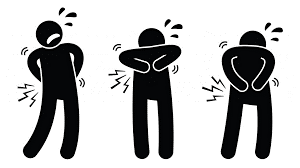 Untreated pain causes anxiety, depression, irritability and exhaustion. Pain can also cause problems with eating and sleeping. Pain may cause people to act in “babyish” ways. Pain causes changes in the brain that make future pain worse. Pain can slow healing, disrupt treatment and may cause medical problems. Pain that is not controlled makes people afraid….. I have adapted the above paragraph from a document produced by Royal Children’s Hospital in Melbourne. The children’s hospitals in Australia have whole departments dedicated to pain, both acute and chronic. We are learning more and more about pain, and this is a topic that is obviously close to my heart… I started thinking about it more today, when a client who having completed her first session with me stated “I’d thought it was something I would just have to get used to…” I hear this every day and it is not true for the majority of people.. Another client during the week said to me “I am only 25%. I am depressed and don’t feel myself, this is not normal and I don’t want this to be it”. At least one in five Australians lives with chronic pain, and often the cause is unknown. Scientists are just now discovering the crucial role the brain plays in how pain is experienced, and how it might pave the way for treatment. The economic and social burden of chronic pain is enormous. Every emotion and thought is amplified when suffering pain. People with ongoing pain, anticipate pain with a lot of fear and worry. The pain becomes all consuming. I became a ‘pain victim’ years ago, and indeed found myself to be one of the patients I did not like looking after- when asked how they were, was given the whole pain story from start to finish. Pain is not only physical, but emotional and psychological. The brain cannot differentiate between physical and psychological pain. The two parts of the brain that play a role in pain are the thalamus and the prefrontal cortex. Described as the ‘border in the brain’, the thalamus acts as the gateway between the spinal cord and higher brain centres. When you sustain an acute injury there is an opening in the thalamus for information to pass through from the affected body part to the brain. We need this to open, as we need to heal, and we need to relax. After an acute injury is healed, this border should close. It has been found however that when acute pain doesn’t go away, and becomes chronic pain, the opening in the thalamus has been found to remain open long after the initial pain is gone. Recent research, has found chronic pain decreases the size of the thalamus, resulting in a decrease of a specific neurotransmitter: gamma-aminobutyric acid, or GABA. Researchers also found people with chronic pain experienced a reduction in the size of their prefrontal cortex—the region of the brain that is understood to regulate emotions, personality expression and social behaviour. This results in a further decline in the neurotransmitter GABA. When we experience pain, emotion and thoughts are amplified. People with ongoing pain anticipate pain with a lot of fear and they worry a lot of the time. They can’t soften these feelings because the prefrontal cortex has lost its ability to dampen down these thoughts. Anxiety, depression and suicidal thoughts can be big problems for those living with chronic pain. On the positive side, this border, the thalamus, can actually close, and this can be done with neuro-feedback. It is possible to change the way the cells talk to each other and actually rewrite the painful memories. This is one of the premises that the physiokey is based on in treating pain. Our brain takes information from our different senses—from touch, from sound, from vision, from movement—it puts all these things together for us to create a perception or a feeling of our own body. Knowing this, we can use different techniques to help cope with pain. Diversion techniques, such as visualisation and guided imagery training, shifting your attention away from the pain. Even music and aromatherapy have been shown to reduce pain sensitivity through distraction. Biofeedback, relaxation, controlled breathing, meditation, and self-hypnosis teach you to respond to pain with mental relaxation. They help you learn to ease your muscles rather than tense them, which increases pain. I think self-talk is really important. Tell the pain to go away, and make sure you tell yourself it will not always be there. Positive rather than negative is key. Don’t let your pain consume you- be it’s master. 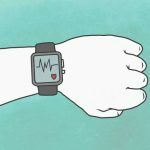 Activity pacing helps you gradually increase your tolerance for activities by understanding your limits, alternating moderate periods of activity with rest, and stopping before the pain becomes severe. 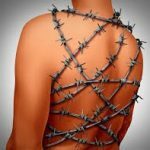 This halts a devastating cycle: Fear of pain leads to avoiding activities and a gradual loss of function, which then leads to more pain and disability. Once upon a time, doctors put people to bed to treat back pain. We now know this is actually counterproductive and moving and exercising through pain can be beneficial. Operant conditioning is based on the observation that pain behaviours—grimacing, moans, limping, withdrawing from activities—can become habitual because of the responses they elicit from your spouse or doctors. I can relate to this last one- limping has become a habit for me. After years of back pain, I periodically limp. I am only aware when someone mentions it to me and asks me what I have done to hurt myself. What would be better would be my husband saying “you’re walking really well” and reinforcing the positive rather than the negative. I hope his has provided some insight into pain and some alternatives for pain relief. Please ensure you always see a Dr is your pain persists and does not improve with conservative treatment. Last month I wrote about the health benefits of meditation. During the week, I was in the company of a lovely lady whom I have worked with for years and have had the pleasure of travelling with her on three occasions as part of a service tour to Cambodia. Clare is one of the calmest, happiest people I know. She asked me to listen to the talk that she was presenting to the senior school at an assembly. Her talk tied in so beautifully with what I wrote about last month, and she was happy to share it with me. Here it is, enjoy! As this assembly closes, I thought we would finish with a little exercise to have a mind shift before we go to period 5. It is still connected to what we have heard today, but instead of focusing on anxiety, depression and mental health, I thought we could talk about dealing with stress in general. We all get stressed. This is partly because of our fast-paced lives. 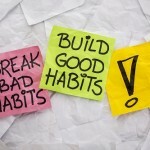 A little bit of stress is okay – but what happens when it gets out of hand; when we feel that our minds won’t be quiet? There is something we can do – and that is meditate – and we can do it anywhere, anytime! Even if It’s just for a couple of seconds while sitting in class, walking to a lesson, queuing in the cafe, being in the chapel. You know many people have a misunderstanding about meditation – they think it is something like ‘think of nothing – concentrate on emptying the mind’!!!! Well to do that you probably need a few years sitting crossed legged in a monastery chanting OM……. We can’t block thoughts and emotions – in fact we need our thoughts and emotions for all sorts of things. But we can quieten our thoughts, and we can be aware of our emotions so that we can choose how we are going to respond to them. The sheer volume of thoughts at about 50,000 a day is often called the Monkey Mind! And it goes something like this – ‘jabba jabba jabba’. Thoughts can be upsetting, unsettling and cause restlessness and confusion. But the good news is that we can train our monkey mind to be quiet- shhh! We can make friends with it, without spending a bucket load on Bananas! How do we do this you might be asking? We do this by giving it a job. This is where meditation kicks in. 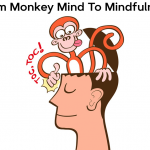 You are giving your monkey mind a job by focussing on …….. It isn’t easy because we forget it’s there. 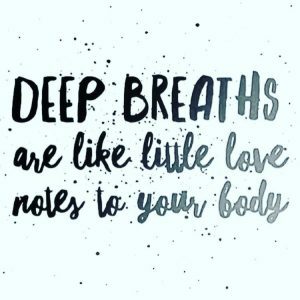 It’s so much of a part of us and because we are not used to believing that we can alter our breathing to affect our thoughts and bodies to calm down. In addition, we must practice our breathing for this purpose and most of the time we say to ourselves (the monkey mind again), ’AINT GOT NOT TIME FOR THAT’. Hold your hand up in front of your face and using the index finger of the opposite hand, breathe in as you trace your thumb to the tip. Hold your breath, exhale as you trace your thumb to the base. Repeat for all 5 fingers. A lot of thoughts will come in the background but as long as you don’t forget your breath, the monkey mind will be calm for a moment. Finally place your two hands together and do one final deep breath. What is the benefit of relaxation techniques on your health? Do you practice yoga or meditate? In Australia about one in six adults practice meditation while one in 10 practice yoga. 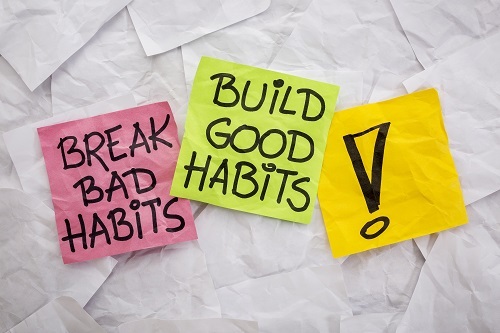 We do this as a way to take time out and manage the stress of our day to day lives. Stress is common, and ongoing stress can contribute to the onset of a range of psychological issues, such as depression and anxiety. Meditation and yoga have been shown to reduce people’s self-reported levels of stress. Meditation and yoga have a positive effect on the brain’s stress response system. The body’s stress response is controlled by the autonomic nervous system. This is automatic. The autonomic nervous system plays a key role via the sympathetic nervous system (SNS) and the parasympathetic nervous system (PNS). The SNS is to mobilise the body to fight or flight from stressful or threatening situations, via control of internal muscles, organs and glands. 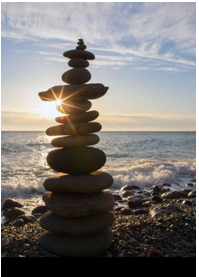 The PNS counterbalances the sympathetic nervous system and returns the body to its natural baseline state after the systematic nervous system activates. In many cases the PNS and SNS have opposite but complementary functions. 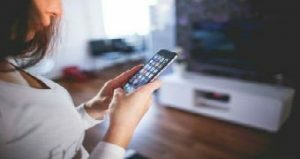 For example, the SNS increases heart rate, blood pressure and the downstream release of stress-related hormones such as cortisol, whereas the PNS decreases all of these factors. So how does yoga and different forms of meditation influence the brain’s stress response system? 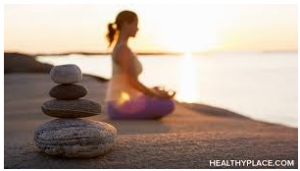 It has been found that meditation and yoga reduce diastolic blood pressure (the lower range) by 3-8 millimetres of mercury (mmHg), compared with people who engaged in another activity, such as aerobic exercise or relaxation. 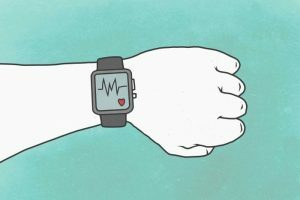 This may not sound like much, but it is important because reductions in systolic and diastolic blood pressure of as little as two mmHg can reduce the incidence of heart disease and stroke. Meditation and yoga reduced heart rate by three to four beats per minute. This is similar to the effects of aerobic exercise, which have been shown to reduce heart rate by five beats per minute. Meditations and yoga have both shown to decrease measures of cortisol in the blood. Cortisol is often called the “stress hormone” because of its connection to the stress response. Cortisol has useful effects in the body as well. Cortisol can help control blood sugar levels, regulate metabolism, help reduce inflammation, and assist with memory formulation. It has a controlling effect on salt and water balance and helps control blood pressure. In women, cortisol also supports the developing fetus during pregnancy. High cortisol levels can also contribute to changes in a woman’s libido and menstrual cycle, and may lead to Cushing disease. High cortisol levels has also been linked to anxiety and depression. Studies have shown that meditation reduce physiological stress markers in one way or another, and therefore, are likely beneficial in managing stress. 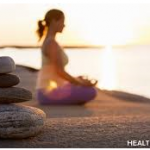 When deciding what form of meditation or yoga is best for reducing stress, I would suggest practicing a form that is enjoyable and therefore you will practice regularly. A good start would be some guided meditation, see below for some apps or podcasts that could be a good start. Yoga classes can be found in your local newspaper and online. Listen to guided meditations to help relieve workplace stress with the new ABC podcast Mindfully. Medicinal Mushrooms: What are they and why are they so good? I drink a mushroom enriched coffee every morning, and my kids laugh and say it’s magic mushrooms. To be honest, it is a little magical but not in an illegal way! As a past chronic pain sufferer I have my ‘go to’ foods that I know help me to be the best I can be. The Chinese have been using mushrooms for centuries, and here in the Western world we are only just catching on. Here is some information about some of the mushrooms that are making it into some everyday products, and their health benefits. 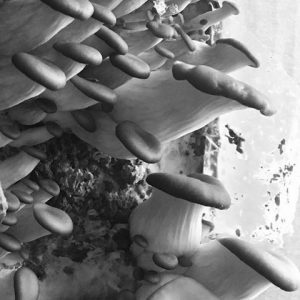 The following medicinal mushrooms will balance and restore your immune system, increase oxygen flow to your cells, amp up your mental and creative acuity, regulate your blood sugar, lower your stress levels, ensure restful sleep, and cure myriad physical, emotional, and mental ailments. 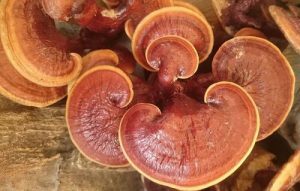 Reishi has been used in traditional Chinese medicine for at least 2,000 years, with the first known written records dating from the Han Dynasty (206 B.C. to A.D. 220). 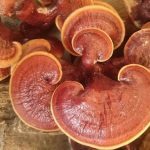 Reishi has the ability to boost the body’s immune system to protect it against pathogens such as viruses, bacteria, and parasites. A functioning immune system will increase your overall health and wellness to the point where you can see the effects of aging being reversed—both physically and cognitively. The compounds in reishi work externally and internally to keep you looking young by reducing dermal oxidation (when proteins on the skin are damaged, causing wrinkles and other signs of aging) and protecting your cellular DNA and mitochondria from oxidant damage, allowing you to remain energized and alert. Another major benefit of reishi is how it works to achieve hormonal balance. When you have an optimally functioning hormonal system (and surprisingly few of us do—for lots of reasons, including the impact of environmental toxins and the overprescribing of prescription medications), your body can relax and recover during the night as it is meant to. Chaga dates to 17th-century Russia. If reishi is the queen of mushrooms, then chaga is the big daddy, the respected father of the mushroom world. The first recorded usage of chaga dates to 17th-century Russia, where it was widely used in folk medicine to treat everything from cancers to gastrointestinal issues. Like reishi, chaga has astonishing immunomodulating powers. Chaga polysaccharides, specifically it’s beta-glucans, have the ability to boost the production of lymphocytes (white blood cell that regulates the immune response to infectious microorganisms and other foreign substances). 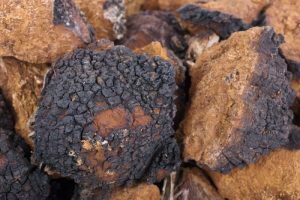 Chaga is also a rich source of antioxidants. In fact, one dose of dual-extracted chaga (the typical amount found in a single cup of strong chaga tea) packs the same number of antioxidants as 30 pounds of carrots. Cordyceps is valued primarily for its extraordinary ability to increase energy and reduce fatigue. It’s been a centerpiece of traditional Chinese medicine for more than 1,300 years, with the first known record of its use dating back to the Tang Dynasty in A.D. 620. Cordyceps is most notable for its energizing effects, due to it’s beta-glucans. Those present in cordyceps, like all other beta-glucans, deliver oxygen to the body on a cellular level, which not only decreases the occurrence of disease but also increases energy and stamina. Cordyceps also significantly boosts adenosine triphosphate (ATP) levels in the body. ATP is the body’s main energy supply source and is required for all cellular processes. Cells need energy to activate our muscles and keep us moving. Because it is so effective at increasing energy and decreasing fatigue, cordyceps is a popular and effective supplement for the elderly who are seeking to counteract the lethargy that often accompanies aging, as well as for athletes who are looking to perform at peak levels. 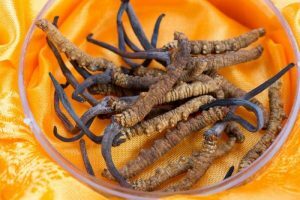 Cordyceps’ anti-inflammatory properties mean that it helps with blood flow, overall heart health, and lowering cholesterol. Lion’s mane looks like a cluster of cascading white strands. 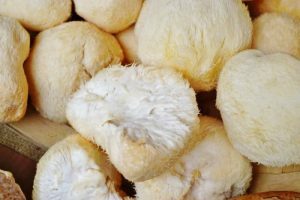 History suggests that lion’s mane was used in traditional Chinese medicine specifically for treating stomach and digestive problems, including cancers. It was also used as a general restorative due to its anti-inflammatory, antibacterial, and immunomodulating properties. But lion’s mane’s effects on the brain truly distinguish it from other medicinal mushrooms and make it an utterly fascinating subject. Lion’s mane has the ability to repair and regenerate neurons, resulting in improved cognitive function, and the mushroom has been known to mitigate and even reverse the effects of neurological diseases such as Parkinson’s, Alzheimer’s, and dementia, among others. So how does this happen? Your body contains nerve growth factors (NGF), proteins that protect existing neurons and stimulate new neuron growth. These proteins play a crucial role in maintaining the viability of the neurons required for the nervous system to function properly. Amazingly, lion’s mane stimulates the synthesis of NGF. It not only has the potential to help those suffering from neurological disorders, but through NGF stimulation, it can potentially reverse the cognitive deterioration that creeps up on many of us as we age. And unlike most pharmaceutical medicines that are used for cognitive function, lion’s mane has no known side effects. My early morning coffee (chaga and cordycelp mushroom) to decrease inflammation in my body. I have a customer with fibromyalgia- she swears by this coffee to help decrease her pain. If you are overstressed and having difficulty sleeping, reishi mushroom helps you relax and get a good night’s sleep. and last but not least, not spoken about here but FUN to grow!! Great present for those hard to buy for, aged 4-99 years, grow indoors in the box. These oysters taste how mushrooms used to taste picked in the field! 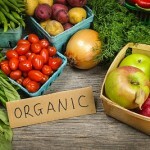 Visit www.innerorigin.com/annief for Australian owned, certified truth on label healthy products for the whole family. Gut health…. What is it? Your gut, or gastrointestinal tract (GIT) is lined with microbes collectively called the microbiome, which includes bacteria, fungi, and even viruses. This microbiome has a large impact on the immune, metabolic and neurological systems in our body.. The idea that bacteria are beneficial can be tough to understand. We take antibiotics to kill harmful bacterial infections and use antibacterial soaps and lotions more than ever. The wrong bacteria in the wrong place can cause problems, but the right bacteria in the right place can have benefits. This is where probiotics come in. Probiotics are commonly known as friendly, good, or healthy bacteria, they are live microorganisms that may be able to help prevent and treat some illnesses. Promoting a healthy digestive tract and a healthy immune system are their most widely studied benefits at this time, but there are even studies around autism and ADHD being linked to the gut. The root of the word probiotic comes from the Greek word pro, meaning “promoting,” and biotic, meaning “life.” The discovery of probiotics came about in the early 20th century, when Elie Metchnikoff, known as the “father of probiotics,” had observed that rural dwellers in Bulgaria lived to very old ages despite extreme poverty and harsh climate. 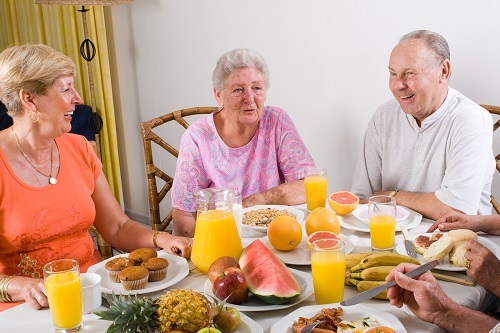 He theorised that health could be enhanced and senility delayed by manipulating the intestinal microbiome with host-friendly bacteria found in sour milk. Since then, research has continued to support his findings along with suggesting even more benefits. Though it sounds gross and even unhealthy, gut bacteria perform many important functions in the body, including helping the immune system, producing the feel-good brain chemical serotonin, making energy available to the body from the food we eat, and disposing of foreign substances and toxins. Unfortunately, though we always have a mixture of good and bad bacteria, sometimes the bad guys increase in number, which can play a role in a number of health conditions. There are clear signs that point to an imbalance that has the potential to make you sick. Diarrhea, constipation, bloating, nausea, and heartburn are classic symptoms of problems in the gut. Gastrointestinal discomfort—especially after eating carbohydrate-rich meals—can be the result of poor digestion and absorption of carbohydrates. Reflux, inflammatory bowel disease, irritable bowel disease, and colitis have all been linked to an imbalance in the microbiome. Craving foods, especially sweets and sugar, can mean you have an imbalance of gut bacteria. If there’s an overgrowth of yeast in the system, which might happen after a course or two of antibiotics where you wipe out all the good bacteria, then that overgrowth of yeast can actually cause you to crave more sugar. Fun fact- an overload of sugar and fermentation in the gut can lead to a positive blood alcohol level even if you do not consume alcohol! Certain types of gut bacteria can cause weight loss, especially when they grow too numerous in the small intestine, a condition called SIBO (small intestine bacterial overgrowth). Too many microbes in the small intestines can interfere with absorption of vitamins, minerals, and fat. If you’re not able to digest and absorb fat normally, you can actually see some weight loss. Other types of bacteria have been linked to weight gain, as certain microbes are able to harvest more calories from foods than others. Roughly 80 to 90 percent of serotonin, a neurotransmitter that affects mood, social behaviour, sleep, appetite, memory, and even libido, is produced in the gut. When less serotonin is produced, it can negatively impact mood. Gut imbalances of the microbiome can trigger depressive symptoms. Not having enough serotonin can lead to bouts of insomnia or difficulty getting to sleep, chronic fatigue and symptoms of fibromyalgia can be tied into gut bacteria imbalances as well. Skin rashes and eczema, a chronic condition characterized by inflamed and itchy red blotches on the skin, can develop when there is an imbalance in gut bacteria. Imbalance in the microbiome plays a role in more than just GI symptoms. Diseases affecting the immune system, known as autoimmune diseases, can also indicate an imbalance. 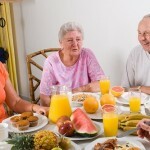 Rheumatoid arthritis and multiple sclerosis are tied in with imbalances in the gut bacteria. I have some of these symptoms… how do I improve my gut health? Eating right is the first step in improving your microbiome. In fact, the types of foods we eat can change our gut bacteria in as little as 24 hours, and after a week we can increase the different types of bacteria (biodiversity). 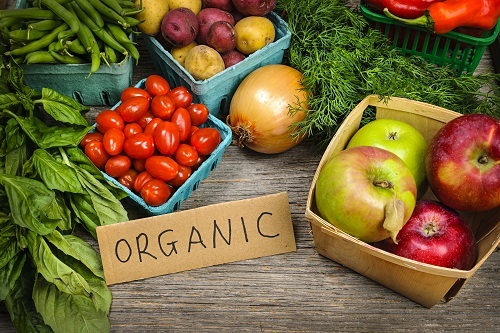 To feed your good bacteria and starve the less desirable bacteria, swap out processed foods, breads, and pastas for more plants, fruits, seeds, and nuts. Consider adding fermented foods into your diet, including yoghurt, kombucha, kimchi, and kefir, which naturally contain probiotics, or healthy bacteria. We need to feed the probiotics too! It’s also a great idea to fill up on prebiotic foods, which actually feed the good bacteria. Try pistachios, bananas, garlic, onion, wheat, and oats, plus ancient grains such as quinoa, millet, or chia. Lastly, avoid unnecessary use of antibiotics. Any time you take an antibiotic, you’re going to knock out a lot of the healthy bacteria. If you have needed a course of antibiotics (please always take the full course and don’t stop half way just because you’re feeling better! ), consider taking a probiotic supplement to recreate a healthy bacterial community in your gut (and not Yakult!). On a final note, I promised I’d talk more about Yakult.. so here is the low down. It’s second ingredient is heat treated skim milk- heat treated substances increase inflammation in your body. My conclusion- drinking unproven probiotics in sugar laden, ultra processed drinks encased in plastic is perhaps not the best idea.. My poor mother in law..